Cold pressing oils on a sunny windowsill. Oils take up to six weeks to be ready to use. Infusing an herb into an oil allows its active medicinal ingredients to be extracted. Hot infused oils are simmered, while cold infused oils are heated naturally in the sun. Both types of oil can be used externally as massage oils or added to creams and ointments. Read on to learn how to make both a hot infused herbal oil, and a cold pressed herbal infused oil. Heat infusion is best used on barks, roots, and berries. You must be careful not to heat the oil over 80-90 degrees F, or it could potentially harm the oil. The oil can burn, and will go rancid quickly. You must take care not to burn the herb as well. 750 mil almond, apricot, or other good quality oil. Stir the chopped herb and oil together in a glass bowl over a saucepan of boiling water. Cover and simmer gently for two to three hours. Remove from heat and allow to cool. Strain the herb out of the oil using a cheesecloth. Pour into clean, dark amber bottles. Be sure to label with type of oil, and date. Infused oils will last about 6 months. To make the oils last a year or longer, add a few drops of essential oil like Lavender into the jar. Which essential oil you use will depend on the infused oil you have made. Store in a cool, dark place. Many herbs make effective hot infused oils, especially such spicy herbs as ginger, cayenne, and pepper. These oils can be rubbed into the skin to relieve rheumatic and arthritic pain, improve local blood flow, and relax muscles. Other hot infused oils from such leafy herbs as comfrey speed wound healing; mullein is used for earaches and ear infections. 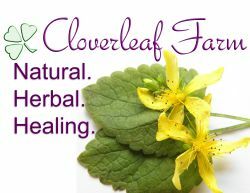 Cold infusion is used for the delicate leaves, flowers and aerial parts to the plant. These should not be heat infused. Fill a clear, glass jar with an herb. Cover the herb completely with oil. Close the jar and shake well. Place in a sunny spot and leave for four to six weeks. Strain the herb out of the oil. Pour the infused oil into dark glass bottles and label. Cold infused oils will last up to one year. By adding essential oils, you can add a few more months of shelf life to your infused oil. Cold pressing is a slow process and involves leaving a jar packed with herbs and oil to stand in the sun for several weeks. Sunlight encourages the plant to release its active constituents into the oil. The intensity of the sunlight and length of time an herb is infused affect the concentration of its medicinal constituents. 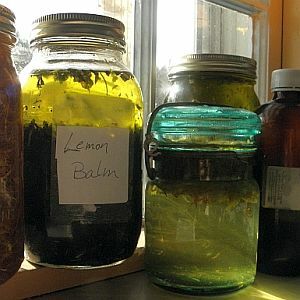 St. John’s Wort, Comfrey, Lemon Balm and Calendula are the most commonly produced cold infused oils. For greater strength, add the extracted oil to a fresh supply of herbs and infuse again.